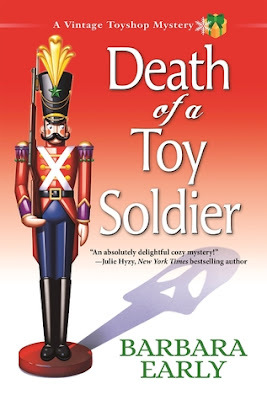 This book follows Carmela and Ava who are visiting the booths at the Winter Market and encounter a fight between Quigg and Martin Lash a local reviewer who seems to always write bad reviews of restaurants when Martin Lash winds up dead being forked to death! Quigg begs Carmela to figure out what is going on and who murdered Martiner Lash. Carmela investigates and it leads her all over New Orleans and Bayou. It leads to meeting the new owner of the paper and the hold Martin had over her. It also shows his side things he was involved with protecting the bayou. Then as the heat is on Carmela has to search for the truth no matter where it leads! I love the friendship between Carmela and Ava they are great together. I also love how the girls worked with Moony and Squirrel as well. Such a great team of friends. Can’t wait to see what the girls are up to next! 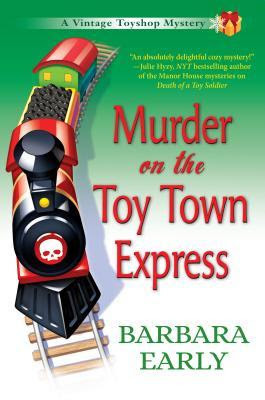 This book follows Liz and her father Hank as they are spending time at the Train and Toy Show. When funny things begin happening like Craig an old nemesis of Liz's winds up taking a leap into a train track. As Liz and Hank try to put the pieces together which lead to more questions instead of answers! Who killed Craig and why? This book had so much going on. There were so many puzzles and searching out the clues was a lot of fun. I really found myself following along with Liz wondering where it would lead. Can't wait to see what the author comes up with next! This book follows Liz McCall and her dad Hank who use to be the cheif of police and likes to on very bad days go patrolling looking for bad guys. In this book a man stops by to drop of a box of old toys to get pricing on their value. He hands Liz a card and leaves. Later that night Liz finds the body of the man with the toys and her dad in her shop one is dead one is knocked out. Who was the toy man and what did he want in the shop that late? Why didn't the alarm go off?, and what is her father up to now? This was a fabulous new series which led you to a small toy store and Liz and Hank and all they go through interviewing people to get to the bottom of the murder. Who had the most to gain and was it related to another recent death? It was such fun with the puns and the father daughter relationship. I wish I could go to this toy shop and be friends with Liz and follow them around as the search out clues along the way. Great for the toy lover in all of us! 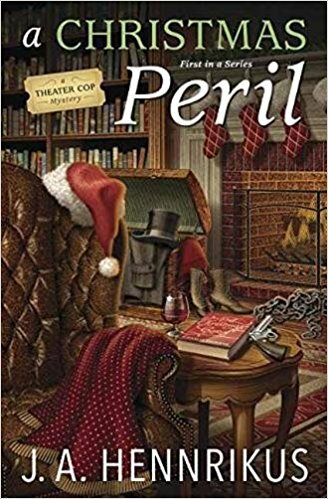 Cozy up with a glass of eggnog and enjoy the spirit of murder and mystery in a Yultide treat perfect for those winter holidays . . This book was a great three stories for those who love Christmas themed books all three women are fabulous Lucy Stone. Hayley Powell, and Julia Snowden are all looking forward to Christmas baring they can each solve their own Christmas mystery. In some cases like Hayley and Julia that proves to be more challenging. Definitely great stories and if you haven't read these ladies yet you are truly missing something great. I love these women and what they accomplish even with Christmas on the way! Kate McKenzie never dreamed when she started her business, Stacked in Your Favor, she’d spend nearly as much time crime solving as organizing. 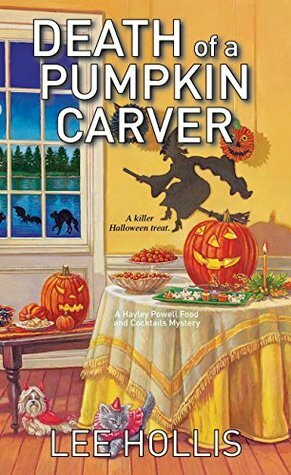 But with Halloween approaching and too many items on the to-do list, she and Meg Berman find themselves in another puzzling dilemma—where every answer leads to another question. 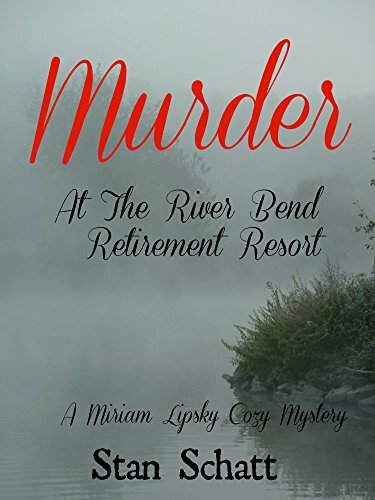 In a historical mystery prequel to the novel MISS SPELLED, Thelma Spelled must discover the mystery around a murder that entangles her and her husband. The paranormal tale reveals more about the magic of the house and early 20th century Australia. 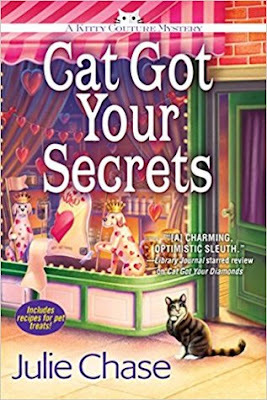 New detective Brenna Sage can’t solve a series of robberies—until she gains a partner in the guise of Marmaduke Dodsworth. While Marmaduke is better versed in decorum and refinement than forensics and interrogation, he has one decidedly clear advantage: He can walk through walls. 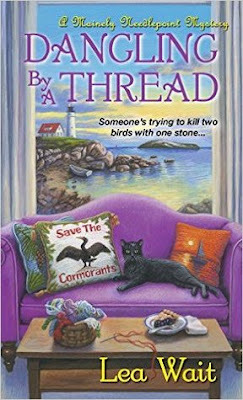 When Jitty’s husband, Coker, goes missing from the Great Beyond, Sarah Booth Delaney, Tinkie, and all the animals sign on to find out why the spirit is AWOL. Sarah Booth has to dig deep into the past to find the answer to this puzzling mystery. 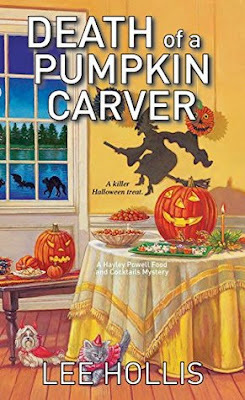 A vegetable-loving chef has cooked his way into trouble when a Halloween treat leads to murder. If he wants a happy future, he must first make sure the police don’t have him down as the main ingredient in a recipe for a prison sentence. When Cherry pays a mercy call on a neighbor, she’s roped into a quid pro quo deal—if she recovers a stolen family heirloom both somewhat embarrassing and due to be discovered missing very shortly, the neighbor will use family clout to help her with zoning issues. But if she fails, the expression “someone’s got her goat” takes on a whole new meaning. And when she discovers a thievery ring, illegal auctions, and green-eyed emotions after spotting Luke where he’s not expected—it’s another hilarious day in Halo, Georgia. It’s Halloween, one of the busiest times of the year for Samantha Sweet and the crew at her pastry shop, Sweet’s Sweets. The gang looks forward to a gala costume party at the neighborhood bookstore, but the evening takes a different turn when a guest is murdered, a rare book vanishes, and Sam finds herself in the midst of another mystery. Lella York has a way of getting herself into trouble, even when she’s doing volunteer work. 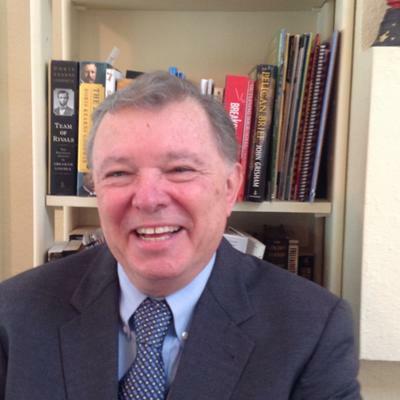 Who's the mysterious storyteller, and what's going on at the senior living center? 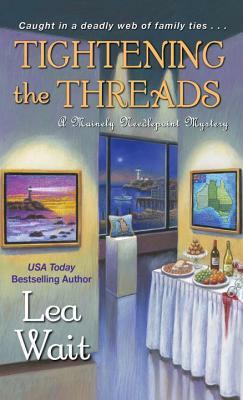 Will Lella find out before it’s too late? 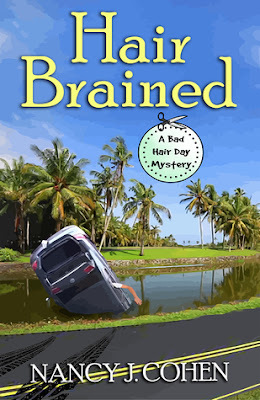 Not a patient recovery patient, while Nichelle Clarke waits for an injury to heal all she really wants is a story to write and research—hard news to get her mind occupied. Instead, her boss gives her a fluff piece. Not her idea of fun. But with Nichelle snooping around, it’s not surprising her soft story takes a decidedly hard turn. This great novella compilation covers so many great authors from LynDee Walker we get Nichelle Clarke whose writing a story while her leg heals and stumbles upon a mystery to solve. All the way to Clacking Bones by Carolyn Haines Sarah Booth has her hands full finding out where Jitty's husband goes missing from the great beyond and Sarah has to figure out why. This set of stories is great if your looking into various authors but want to learn more about them in these little novellas you get a taste of the adventure you could go on. You also may find yourself seeking out a series after reading some of these stories I know I did and couldn't be happier with some of them. One of the new authors I stumbled upon with this was Connie Shelton with Spellbound Sweets you meet everyone is Samantha Sweets world and it was great. Some were authors I read before and was pleasantly surprised to revisit them again. 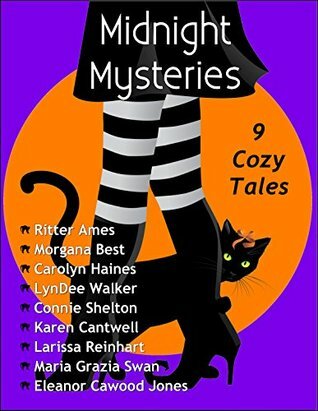 Definitely great series for Halloween lovers and cozy mystery lovers who want a break from a full novel and can enjoy the short stories and one to definitely keep around. 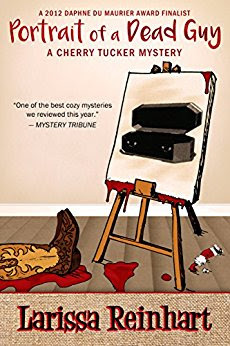 Related subjects include: cozy mysteries, women sleuths, murder mystery series, whodunit mysteries (whodunnit), humorous murder mysteries, book club recommendations, amateur sleuth books, small town humor, Southern humor, comic (humorous) crime and mystery, small town and rural. This book follows Marla Vail and her husband Dalton as they are celebrating New Years they hear news that Marla's best friend Tally and Ken are missing. Not sure where they are or what has happened Marla assumes responsibility for Tally's baby Luke. Within 24 hours they find out Tally and Ken were in a car accident and Ken didn't make it as the clock ticks and they await knowing the fate of Tally. Marla digs deeper into finding out what happened to her best friend and her husband. Who wanted Tally or Ken out of the picture and why? As Marla digs deeper she wonders if the accident was work related or personal? There seems to be tension at work for Ken and his staff which makes Marla wonder what was going? Then finding out Tally was into somethings Marla knew nothing about, makes her wonder if her relationship with Tally was very one sided. Time is running out and Marla needs to get to the bottom before someone else ends up getting into another accident. This series is so great as Marla struggles to raise Luke, find out what happened with Tally and Ken and pray that Tally wakes up. Tally doesn't offer up much in this book as she is struggling to stay alive so the pressure is on Dalton and Marla to figure it out regardless of where the road turns. It also gives Marla insight into her theory of not having kids. I really enjoyed this book and anyone who does hair dressing or just loves a great cozy mystery will love this one! This one had me pulled in and I couldn't let it go until I found out like Marla what happened that night and why! Definitely a page turner which kept me turning the pages very late at night! Hayley is getting ready for Halloween her favorite time of year with lots of candy when she arrives home and finds carved pumpkins at her house which is sure fire sign that Danny Powell is back in Maine. She finds him at his uncle's house. Determined to win her back regardless of what she wants but Hayley is waiting for the other shoe to drop. Add to this a couple of guys are following Danny and making Danny very uneasy. When Danny tries to leave Sergio informs Hayley of the death of Danny's uncle which causes him to stay but when he tries to leave soon after Sergio drags him back and requests Hayley to let him stay with her. Who killed Danny's uncle and why? What does this have to do with Danny's arrival in Maine? I love Hayley and her friends are family are so fun to read about and see what they are up to next this one didn't disappoint and shed some life to her mysterious ex-husband and what he's been up too. This book also went deep into the world of authors and watching as Hayley's son Dustin submitted his novel to a popular author and where that led. Can't wait to see where Hayley winds up next! 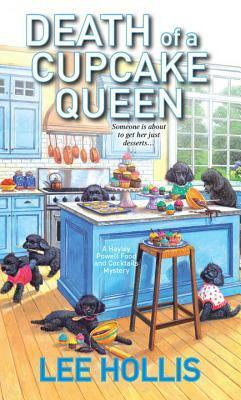 This book follows Hayley, Liddy, and Mona who are getting ready for their twentieth reunion. Of course Mona in all her glory doesn't want to go at all. She gets tricked into going by Gemma Hayley's daugter. Which was hilarious to see. Of course the trio really could do with out the mean girls Nykki, Ivy and Sabrina who have not been the nicest in school. While Sabrina was a good friend to Hayley when they were young that all changed when high school hit. When one of the mean girls is found dead in the kitchen at the reunion. Hayley wonders who would be angry enough with Ivy to kill her. And what does this have to do with high school. Hayley ends up digging real deep into history of the year after they graduated to an actors death and what really happened! Will Hayley figure it out in time or is the reunion going to be the last thing Hayley remembers? I love this series it's great to see what the girls are up to. Who winds up dead and why? Also in this book are fabulous cocktails and food recipes to try at home. These books are definitely ones you can't put down even if you tried because you never know what you will miss! My favorite go to mystery. 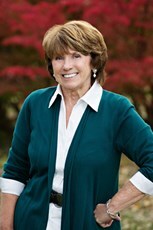 Who better than food and cocktails columnist Hayley Powell to book a caterer for the Island Times holiday party? 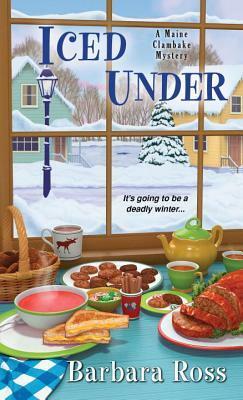 But Hayley's quest for a cook turns into the pursuit of a killer who caters to no one. . .
Office Christmas parties can sometimes mean career suicide--but they rarely lead to murder. Hayley thought Garth Rawlings would be the perfect caterer for this year's bash, but when the gourmet sees her budget, he goes galloping. Unfortunately his run is short-lived. Garth is found dead on the floor of his kitchen, with his delectable creations burning in the oven. 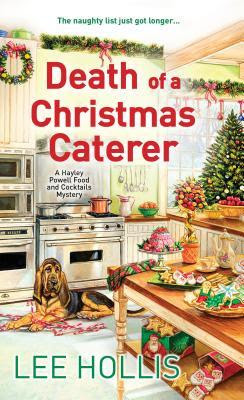 Faced with a spread of suspects, Hayley is determined to discover who would want to take out the Christmas caterer, because--no matter what the season--justice must be served. . . 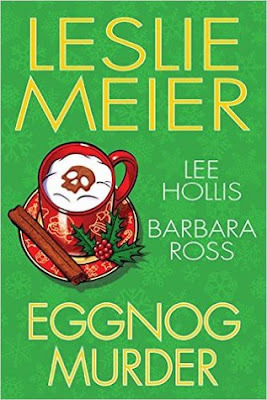 In this book Hayley Powell is getting ready for Christmas when she gets roped into planning the Island Times Holiday party after bombing out with a local chef due to what she is given financially to work with Hayley sets out to cook food for the party. When local chef Garth Rawlings hears about it through twitter he hires Hayley to help out at the years bash. What Hayley didn't count on was finding Garth dead! How does a man die of homicide in a locked warehouse kitchen? Will Hayley figure it out or will this be the death that never gets resolved? This book had a lot going with the holidays coming. Hayley's daughter Gemma in a holiday pageant. Also this one has Hayley knee deep trying to figure out what happened with Garth, who kill him and why? Hayley isn't one to sit on the sidelines while a murderer runs around free. 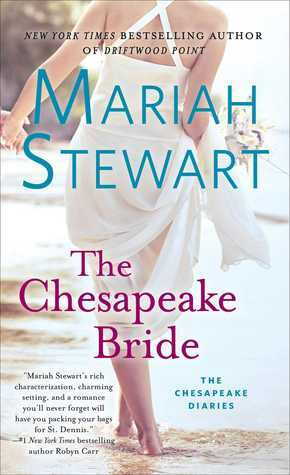 This book involved a cheating spouse, a sparse relationship between Hayley and the corner Sabrina, and two loves in Hayley's Christmas tree. Hayley will have to weed through the people involved to get to the bottom of it and make a decision in her personal life! I love this series especially Hayley, Mona and Liddy they are such great friends to one another/ This book didn't disappoint with the story. They can really make you laugh along with Hayley english challenged brother in law Sergio who tries so hard with english but hasn't toally mastered it yet! This book follows beloved librarian Aurora Teagarden her husband Robin Caruso and her half brother Philip Teagarden in this book Philip and his friends Joss and Josh and a young girl Liza all go missing and the mystery of them is really building up. Who kidnapped these kids and why? Aurora is dealing with her new pregnancy and wondering what is going on with her brother Philip and his friends who would want to take them and why? All signs point to something going on with the kids in school especially when Joss's girlfriend Tammy winds up dead. Who killed her and why? This series gets better every time I read it. Aurora is at it again trying to figure out what is going on in town. Which leads to a ransom of one of the kids and a bunch of other kids keeping secrets and to what degree will it take to get the other kids involved to start talking? I can't wait to see what is next in the series especially with Aurora being pregnant and what the impending parenting will look like. Such a fun series with so much going on! In the coastal town of Haven Harbor, blood runs thicker than water--and just as freely . . . 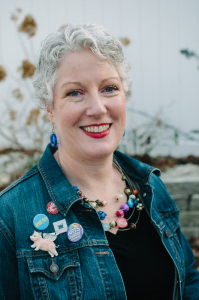 Antique dealer Sarah Byrne has never unspooled the truth about her past to anyone--not even friend and fellow Mainely Needlepointer Angie Curtis. 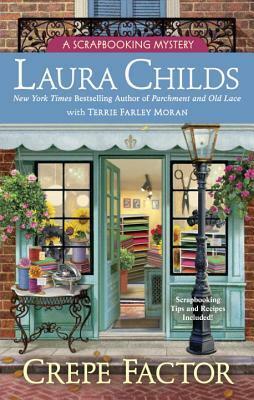 But the enigmatic Aussie finally has the one thing she's searched for all her life--family. And now she and long-lost half-brother, Ted Lawrence, a wealthy old artist and gallery owner in town, are ready to reveal their secret connection . . .
Ted's adult children are suspicious of their newfound aunt Sarah--especially after Ted, in declining health, announces plans to leave her his museum-worthy heirloom paintings. So when Ted is poisoned to death during a lobster bake, everyone assumes she's guilty. If Sarah and Angie can't track down the real murderer in time, Sarah's bound to learn how delicate--and deadly--family dynamics can truly be . . . This book follows Sarah Byrne who in the previous book was very absent from everything going on, in this book we find out why that Sarah's had a different life and has been trying to find her family which leads her from Australia to England to Maine. In Maine she learns who her Uncle is. Her Uncle is none other than Ted Lawrence a wealthy artist and gallery owner. Ted has decided it's time to tell his children about their cousin whether they like it or not. Into a weekend of birthday events everything is going some what ok when at the Lobster Bake Ted ends up coking and dying. The police get called in when the following day Ted's daughter Abbie's husband Silas Reed ends up dead. Who killed the two men and why? Angie will have to pull the threads apart on the Lawerence family to get to the bottom of the situation. Will she uncover the murderer in time? This book was definitely different then others most of the needlepointers were cameo appearance not front in center except for Sarah and of course Patrick was there as well. It was definitely interesting to learn about foster care system back in the day and where it led Sarah. Also was intriguing to learn about the Lawerence family and all their issues. Definitely can't pick your family and they aren't always happy like on tv. I loved going back to Maine to see what everyone was up to and this one didn't disappoint. We got to see what is coming of Angie's relationship with Patrick and how that will play out. Having to support Sarah through her adventure and see where the chips landed in the end! Can't wait to see what is next for this series! This book follows Jesse Lockhart who lives alone on King's Island. When Angie Curtis spots him landing in Haven Harbor she wonders who he is and what he's doing? She follows him as he goes to the Post Office and is even more cuirous finding out only that he gets his mail at Haven Harbor. Later when she goes to see Dave she learns alittle more about Jesse as he almost runs into her as she visits Dave. Angie still trying to get use to being alone finds out from Jesse that he needs their help. Someone wants to buy King's Island where Jesse lives with Cormorants a special bird. After Dave gets hurt attempting to talk to Jesse to let him know what is going on it's up to Angie, Dave and the other needlepointers to find out what is going when Jesse winds up dead. This leads to Angie talking to Patrick West whose Uncle wants to buy the island to turn into a summer retreat. The big question being who wanted Jesse dead and why? This book had so much going on the mysterious Jesse Lockhart and who he is? Then the Wests coming back into town was always a nice treat for everyone whose gotten to know Patrick and Skye. This one really had me wondering who the killer was and why go to the extreme or killing someone trying to protect birds! I also found myself feeling bad for the realtor and his wife who really need the income of selling the property! Definitely great for bird lovers and mystery buffs alike! 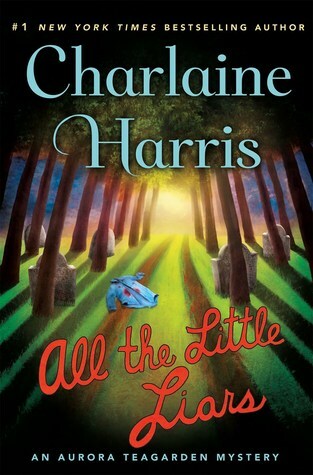 I have loved this series from day one and don't think I will quit to the last book is written hopefully with lots of great mysteries still to come!